Jebediah are an alternative rock band from Perth, Australia. Forming in 1994, the band consists of Kevin Mitchell (vocals, rhythm guitar), Vanessa Thornton (bass guitar), Chris Daymond (lead guitar) and Brett Mitchell (drums). The band signed with Murmur, a label of Sony Music, in 1996 and released their first album Slightly Odway in 1997. They released three more albums before splitting with Sony: Of Someday Shambles, Jebediah and Glee Sides and Sparities. 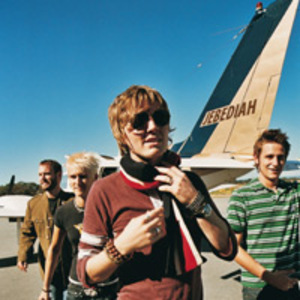 In 2004, Jebediah produced their fourth album Braxton Hicks and released it on their own record label, Redline Records in conjunction with Shock Records. Lead singer Kevin Mitchell released his second solo album Suburban Songbook in 2006 under the pseudonym Bob Evans. Their official site is http://www.jebediah.net/.